iCal is a computer file format for storing calendar information. It is short for iCalendar. It was initially based off the vCard format which is an electronic format for storing business cards. iCalendar files typically have the file extension “.ical” “.ics” “.ifb” or “.icalendar” with a MIME type of “text/calendar”. It should not be confused with an application called iCal, the former name for the commercial application “Calendar” developed by Apple Computers. iCalendar is designed to be an open standard to allow for easy interoperability with many different applications. In other words, it allows products from many vendors to transfer calendar information between each other. iCalendar was first defined as a standard as RFC 2445 in 1998 by the Internet Engineering Task Force (IETF) which is an organised activity of the Internet Society (ISOC). ISOC is a non-profit organisation founded in 1992 to provide leadership in Internet-related standards, education and policy. It is dedicated to ensuring the open development, evolution and use of the Internet for the benefit of people throughout the world. This RFC 2445 document was authored by Frank Dawson of Lotus Notes Corporation (now owned by IBM) and Derik Stenerson of Microsoft Corporation. The pairing of these two individuals from competing software companies highlighted the need at that time for companies to work together to provide interoperability standards between calendar products. This interoperability continues to the present extending support to new technologies such as web site calendar services, smart phones and tablets. The iCalendar standard was refined in 2009 as RFC 5545 and edited by Bernard Desruisseaux of Oracle Corporation. This resolved some ambiguities from the original standard as well as deprecated a few features that were no longer needed. RFC 5545 is now considered the iCalendar standard and supersedes the previous RFC. Where iCal is used today? iCal is used in many major scheduling or calendar software as well as e-mail clients that provide calendar functionality. Examples are Microsoft Outlook, Mozilla Thunderbird and the Calendar apps on iOS and Android. In addition, websites and services that have calendar functionality will typically also include the ability to export to an iCalendar file. These include Microsoft Office 365, Apple Calendar, Google Calendar, and Yahoo Calendar. Know More About the Function and How To Import Calendar To Different Platform Like Airbnb, Softinn And Booking.Com. 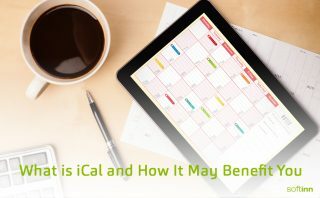 How iCal Benefit the Hospitality industry? iCal is usually used as a medium of storing reservation information. As an example, a hotel might have 20 rooms to sell. It allocates 10 rooms to LetsGoHoliday and the other 10 rooms to AirBnB. Through iCal, hotel owner is able to keep track of all 20 rooms availability from their smartphone without having to sign in to two different websites. Softinn Solution, which build booking engine for hotel also support iCal calendar import from other travel platform like AirBnB and Booking.com. This integration will provide a hassle free experience for hotel owners as they can check all their information with ease. Booking.com has a feature whereby users can export an iCalendar file which stores availability information. Since iCalendar is a standard format, this means that you can use this feature to get all the information from Booking.com to your preferred calendar application. For example, you can use this to easily see at a glance which rooms are occupied from your smartphone. First, log in to Booking.com profile. Home page of booking.com dashboard. On the navigation menu, select Calendar & Pricing. Booking.com Calendar and Pricing Page. Look for Sync Calendar section to find the iCal export and import buttons. From here, you can get an iCalendar file URL using the “Export calendar” button. This URL can then be submitted to Softinn’s Extranet Import Calendar functionality. You can also add iCalendar URLs from other services under Import your calendar if you want. AirBnB, just like Booking.com uses the iCal format to store room availability. AirBnB supports both iCalendar importing and exporting. Calendar exporting lets you view your Airbnb calendar on an external calendar such as Google Calendar on your smartphone or Softinn’s Extranet calendar that supports the iCal format. Below is a screenshot of the Calendar page of AirBnB. You can access this page by opening the navigation menu on the left side (marked by the hamburger icon) and clicking on Calendar. The Calendar page shows you a calendar with reservations made through AirBnB marked. On the example screenshot above, two customers have made bookings on the month of September 2016. AirBnB supports both importing and exporting iCalendar files. To do so, simply click on Availability Settings on the right side and two links Import Calendar and Export Calendar will appear. Clicking on Export Calendar will give a URL which can then be downloaded to your computer OR provided to Extranet’s Import Calendar functionality. Currently, there are some limitations with the current implementation of the iCalendar format. The iCalendar format is designed to transmit calendar-based data, such as events, and intentionally does not describe what to do with that data. Thus, other programming may be needed to negotiate what to do with this data. iCalendar’s calendar is also not compatible with some non-Gregorian calendars such as the lunar calendars used in the Muslim and Chinese calendars. Thus, the IETF “Calendaring and Scheduling Working Group” (ietf-calsify WG for short) has published additional proposed revisions to the iCalendar standards (called RFC-drafts), but as of January 2011, the group has ended and is now continued by the “Calendaring Extensions Working Group” (ietf-calext WG). Read More Blog Post About Softinn Solution. Hello, my booking.com page doesn’t show URL. All the menus are on the top row instead of left hand side like your screenshot. Will try to get the latest screenshots from booking.com. Will update both in the comment area and blog post once we got it. Thanks! Hello Daeun Chung, we have updated the print screen of our blog post. You may find the export calendar feature now under the “Calendar & Pricing” menu (on the top navigation menu). Again, thanks for pointing out to us that the print screen earlier is not longer relevant.